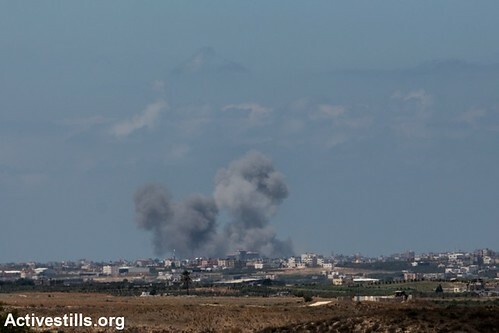 Smoke seen over the Gaza strip during navy israeli shelling by Israeli artillery on July 18, 2014. Late last night Israeli forces escalated their operation with a ground offensive, sending troops into Gaza. More than 250 Palestinians have lost their lives since Israel began operation 'Protective Edge'.